Download our some of the best nepali fonts, and use selection of nepali keyboard layout designed by Ananda K. Maharjan below. 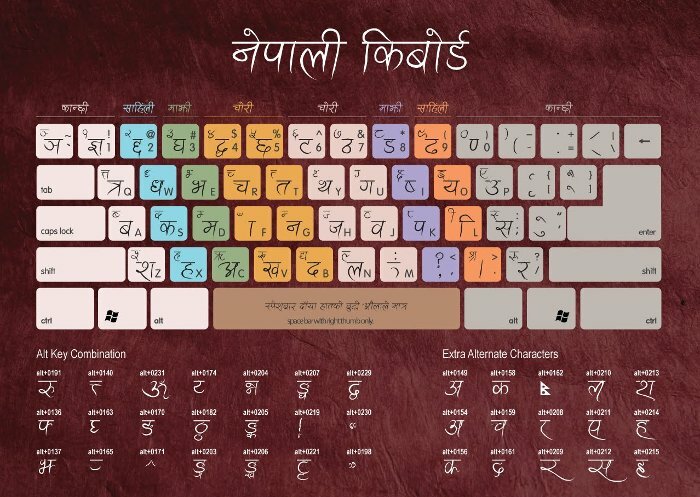 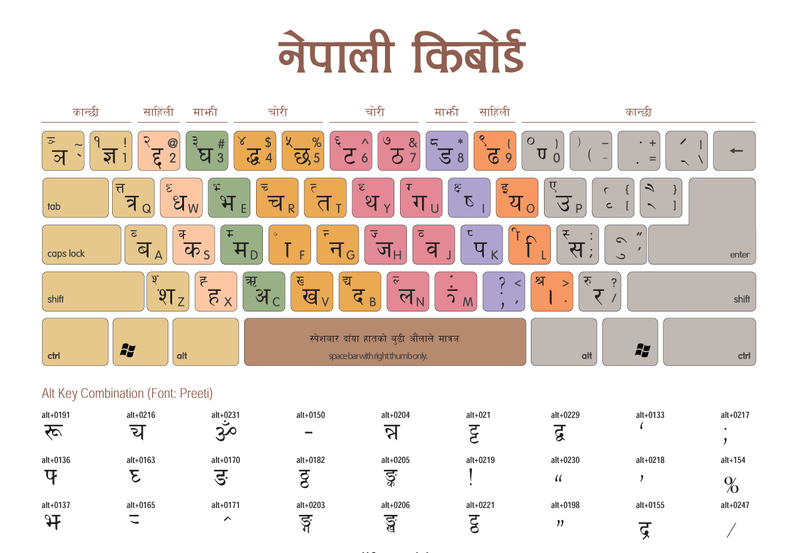 Our Nepali keyboard layout is available in three theme - dark, light and white. 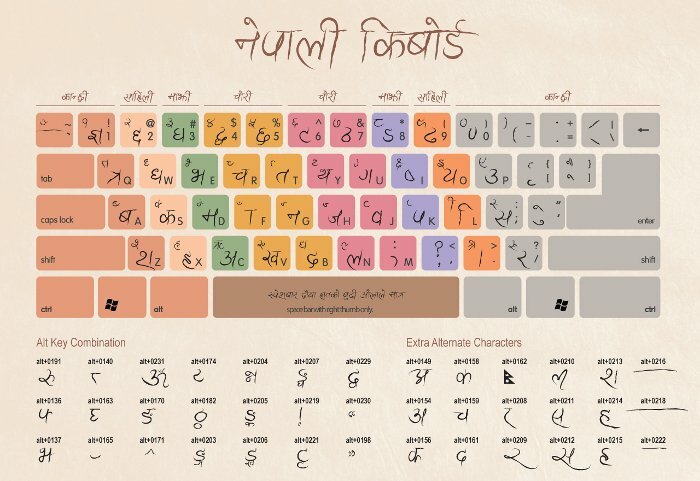 Clicking on the link opens a higher resolution image that is ideal for printing.